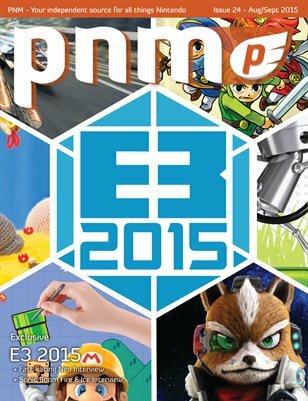 Issue 24 is all about the games we played at E3 2015. One of my most anticipated games of E3 was Star Fox Zero which was, admittedly, a little disappointing. I was hoping to play a little more of the game than the Star Fox 64-like demo levels. Super Mario Maker definitely surprised me this year with its new modes and new sharing capabilities that are sure to give fans plenty to do when the game releases. I also had a ton of fun with Triforce Heroes on the 3DS. On the indie side of things, we spoke with the teams behind Nova 111 and Fast Racing Neo. We also interviewed Sanzaru Games, the developers behind Sonic Boom Fire & Ice for the Nintendo 3DS. Be sure to check out all the great content in this issue and happy gaming!